Should the unforeseen happen and you need to make an insurance claim on your stolen property, you will be asked to prove that you owned the items you made a claim for. Keep all receipts, warranties. a list of serial numbers and valuations in a safe place. Take photos or videos of all jewellery, artwork and other precious items. High end, portable items are the most likely items to be stolen. 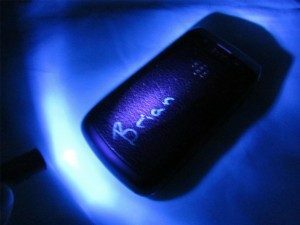 Marking your valuables by engraving or with an invisible marker that is only visible with a black light will greatly increase the chances of your stolen property being returned to you should it get recovered. Mark these items with your phone number. drivers licence or your car registration number. Engraving your drivers licence number into your tools will also allow them to be returned to you once they are recovered.